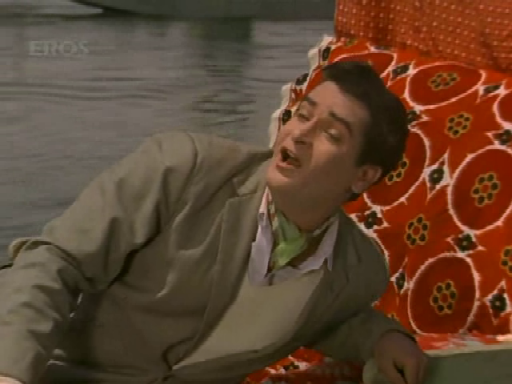 This particular Shammi Kapoor film has a very special place in my heart – because Yeh chaand sa roshan chehra was one of the first Hindi film songs I ever learnt to sing. I must’ve been about eight years old. I’d never seen the film; television was yet to make its way into our lives (it was just round the corner, though I didn’t get to see the song till much later). But I used to hear it now and then on radio, and sometimes on an LP my parents owned. 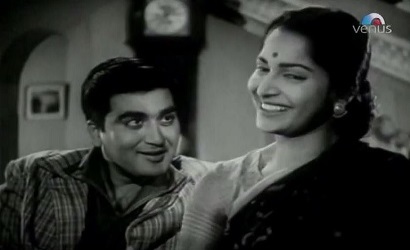 I always did wonder who the heroine was, the woman who was praised for the fact that her ‘zulfon ka rang’ was sunehra, and who had jheel si neeli aankhein. Could she have been an Indian actress, I wondered? She sounded firang. 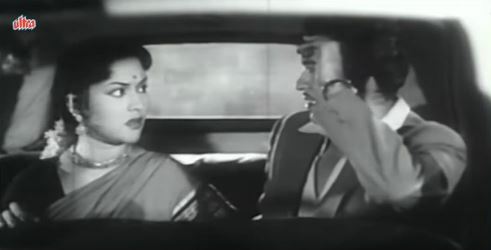 Nasir Hussain may have made his Tumsa Nahin Dekha story into four separate – and equally successful – films, but did that induce others to be original? On the contrary. 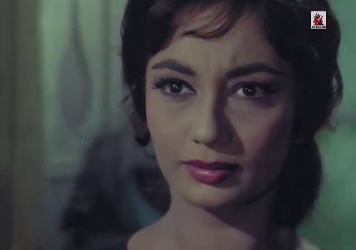 Narinder Bedi, at least, probably seemed to think that what worked for Nasir Hussain might well work for him. 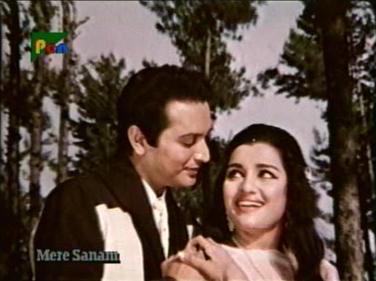 Therefore, Mere Sanam, which has a storyline similar in many ways to Tumsa Nahin Dekha. 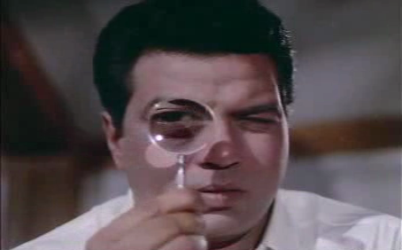 (Both films also have fantastic music by OP Nayyar, by the way). For anybody who’s been following my idea of ‘linked posts’ – each post connected to the one before, and to the one after – this probably comes as no surprise. 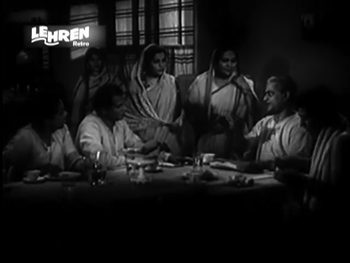 And Then There Were None was based on Agatha Christie’s highly popular novel and play; Gumnaam is, in turn, an adaptation of And Then There Were None. Not a completely faithful adaptation, but a vastly entertaining one, as you’ll see if you scroll through the comments on my And Then There Were None post: most of my readers, even if they’ve not seen the Hollywood film, have had something to say about Gumnaam. 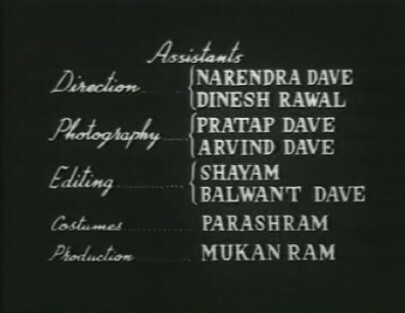 That looks like Ravindra Dave was doing all his unemployed relatives a favour. Or, more ominous, he’d cut corners and employed people whom he could bully into accepting fees in kind—Diwali dinners hosted at the Ravindra Dave home? 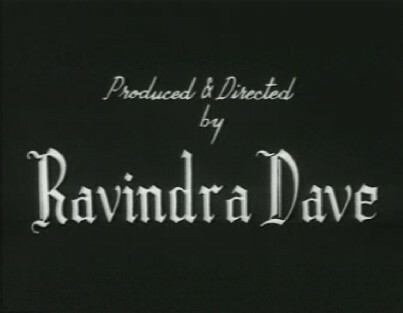 Two hours down the line, and I am certain that Ravindra Dave didn’t really have the money to have been making a full-length film. A short, perhaps; but not this.